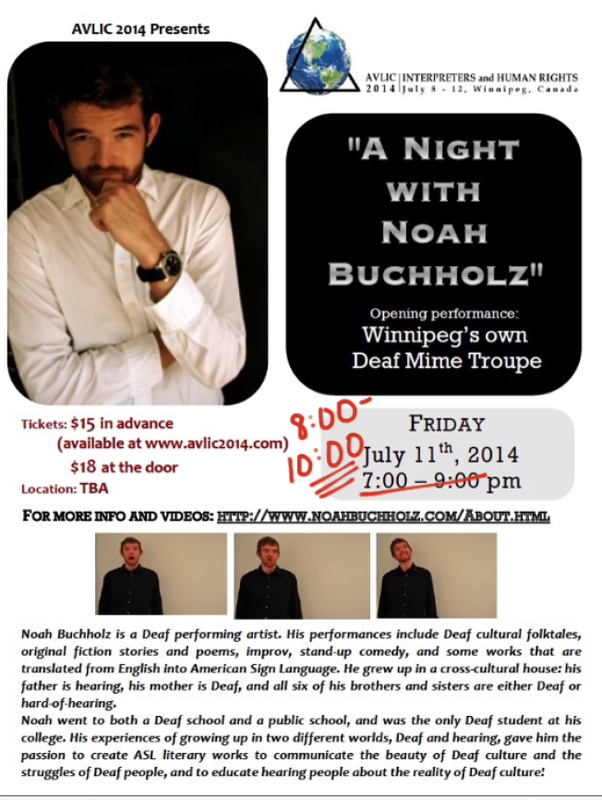 Deaf Centre Manitoba Inc.: Correction time for A Night with Noah Buchholz - 8:00 -10:00 pm! Correction time for A Night with Noah Buchholz - 8:00 -10:00 pm! Deaf Walking Club (DWC) news!! REMINDER- Girl Rising- this coming Thursday! AVLIC 2014 Conference need more volunteers!! Winnipeg Public Library needs Library Shelvers! Deaf Walking Club (DWC) for tonight - CANCELLED!